Hi Den, and welcome to Wilder’s Book Review! Just three? How about ‘Fictional non-fiction’? Can you give us a little more detail on the series and how you came to writing it? The idea is that each book is an instructional manual from the world of Naer Evain, a classic High Fantasy world. Sebastian Venghaus – our intrepid interpreter – has been sent to live among the orcs, elves and dwarves respectively, in an attempt to learn their approaches to warfare. The war manuals came about after I got talking to Simon Spanton at the Gollancz 50th birthday party. We talked about the concept and how much fun they would be to read. I was pretty shocked when he asked if I’d like to write them. 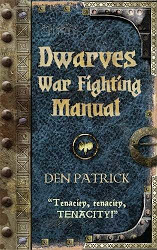 The War Manuals have an unusual framework: essentially 3 short, novella-length books that each serve to fill in the details of a classical fantasy world. Is it purely an exercise in worldbuilding, or is there more to it than that? Worldbuilding plays a part, for sure, but there’s also a lot on tactics. I also made sure the world hung on the characters that inhabit it. My preferred scale is one where the reader is quite intimate the characters, so I had to really change my focus. It’s not called Epic Fantasy for nothing. 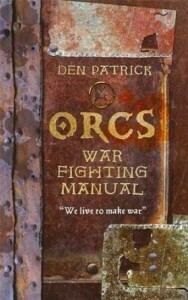 The Orc, Dwarf and Elf Manuals are each narrated in very different styles. How did you go about deciding on the differences between each one, and what were some of your resources? The voices are very much based on the characters that dictate each book. The elf character is a no-nonsense women called La Darielle Daellen Staern, a somewhat infamous legend among her kin. The orc book is based on Ur-Khagan Kani Breakspeare, who leads not just one but a handful of orc tribes. Kani is an important historical figure. The last is Sundin Hallestøm, who is a rather belligerent and outspoken dwarf drill-sergeant. Resources included Sun Tzu’s The Art of War, The Hobbit, and about 25 years of various tabletop and roleplaying games I’ve been a part of. I also wanted to try and put my own twist on the races. The elves have elements of Irish mythology, but also Zen philosophy. The dwarves are rooted in Sweden, as you’d expect, but are disciplined like the Romans. The orcs stick a little closer to their pop culture roots, and are based on Mongol influences. What were some of your main story and writerly influences for the War Manuals? Although they’re not novels in the strictest sense, were there any particular novels you drew influence from in creating the world? The main thing I nailed down early on is that there should be interjections from Sebastian, the interpreter. Through these footnotes I could give a human perspective, but also a heft dose of snark and sarcasm. I think I took the idea for footnotes from Good Omens by Gaiman and Pratchett. No single novel or book had a direct inspiration, rather it’s an accumulation of commonly held ideas about these races. They’re very much a part of the mainstream now, the LoTR movies saw to that. Are you likely to go on and write some stories (be it a novel or otherwise) set in this world? There are no plans at the moment. I’ve written a few chapters and kicked around some plot ideas, so it’s possible a novel set in Naer Evain may appear. When did you decide you wanted to become an author, and can you tell us a little about your first attempts? I was working in Forbidden Planet in Southampton in my mid twenties and has just finished reading Perdido Street Station. I started writing this thing that was half Wolverine, half Bladerunner, half angsty PTSD novel. Did I mention I’m really bad at maths? Anyway, it was horrible. I tried three other novels before actually finishing something, and even that was barely readable. What kind of writer are you? Do you plot down to the last detail, or just start writing and see where the words take you? Do you have any particular writerly ticks, like specific places you work or colour of M&M? I am horribly inconsistent, so to counteract that I plot in advance. I really like Blake Snyder’s Save the Cat, which is about film script writing. I set down a single sentence synopsis for each chapter, noting what sort of beat that should hit in the course of the plot. Next I take that and expand it to a paragraph, noting which characters are present and what the consequences of that action could be for the rest of the book. Once I’ve got my direction down I stew over it for a week or two. I like creating these a lot, if I’m not excited then I know there’s a problem. That said, the excitement usually dwindles about a third of the way into the actual writing and I’m all ‘Oh, crap, I hope this is going to work’. Next year you have your first full-scale novel coming from Gollancz; The Boy with the Porcelain Blade. Can you give us a little bit of detail on that? The Boy with the Porcelain Blade is a Fantasy novel set on the island of Landfall, in a huge brooding castle called Demesne. Lucien, the protagonist, is cast out following a rather eventful upbringing, which we see through flashbacks. There’s some swashbuckling, some horror, some romance and, well, you’ll have to read it to find out more. What’s something the people reading this interview might be surprised to learn about Den Patrick? I once did an unpaid internship reviewing Burlesque shows. The reason I mention this is because I think it’s good practice to write anything and everything. It stretches you and makes you think in new directions. And, finally, what are you reading right now? I’ve just finished Daniel Polansky’s She Who Waits, which doesn’t pull any punches and is a suitably hard-bitten, Noir Fantasy. 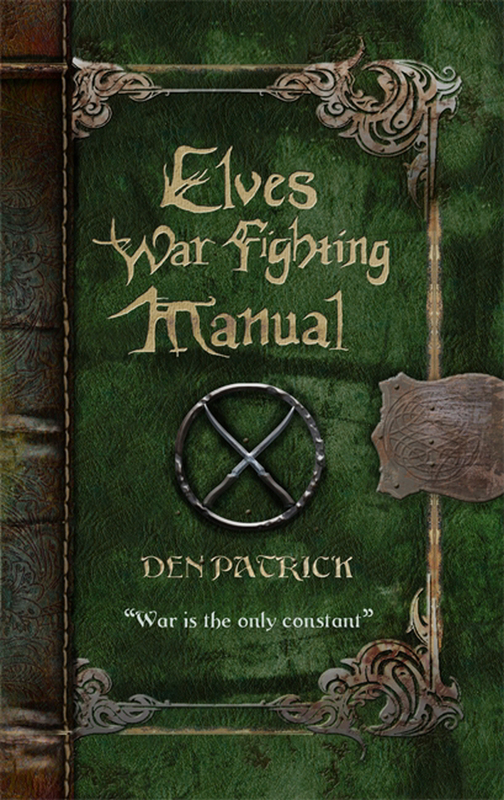 Den Patrick’s Orcs War Fighting Manual and Elves War Fighting Manual are out now, with the Dwarves Manual out very soon. The Boy with the Porcelain Blade – 1st in The Erebus Sequence – is out in March from Gollancz. 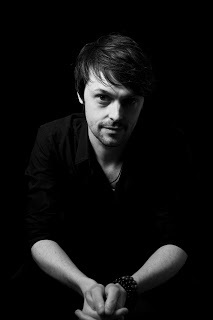 You can find Den on his website, here or follow him on Twitter @Den_Patrick.